Where it all began. The town of Fushimi, home of Gekkeikan for centuries. Gekkeikan was founded in 1637. Remember that year? Ferdinand the III succeeded Ferdinand the II as Holy Roman Emperor, tiny little King Charles I was desperately trying to stop everyone emigrating to this lovely new country called ‘America,’ and no one had ever conceived of the idea of a blog, vlog or Kim Kardashian’s ‘internet breaking’ derriere. A fine year! But in the quiet town of Fushimi, Kyoto prefecture, something BIG was brewing. Literally. Jiemon Okura founded Gekkeikan in Fushimi as it was well known for it’s superb quality of water. In fact, the original character breakdown of Fushimi translated as “underground water,” a nod to its ample supply of spring water that would go on to be essential in forming one the world’s most renowned sake. 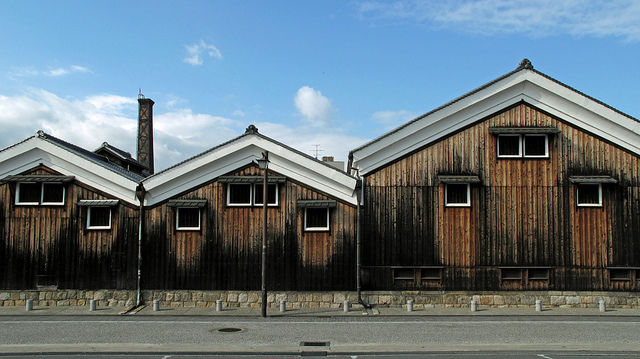 Situated in this perfect brewing town, Okura’s sake went from strength to strength and a family business was born. The company subsequently passed on to the eldest son for an astounding fourteen generations, with the current president, Haruhiko Okura, a direct relative of the company’s founder. It seems the modern day Okuras haven’t grown sick of sake even after all these years. 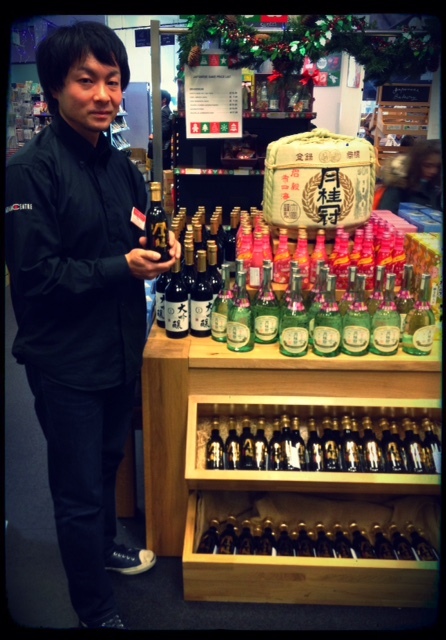 Haruhiko claims drinking sake makes him “happy and relaxed,” with his favourite tipple being Gekkeikan Horin. The company expanded greatly in the 1900s adopting the name ‘Gekkeikan,’ meaning ‘crown of laurels’ in 1905. This, coupled with the establishment of “Okura Sake Brewing Research Institute”, a body set up in an attempt to scientifically analyse sake production, led to Gekkeikan being appointed ‘official purveyor to the royal household.’ Fancy! So rest assured that when you sip on Gekkeikan sake, it’s sake fit for the Emperor himself. From ancient origins, Gekkeikan have grown to become one of the world’s great sake powerhouses. Establishing an overseas brewery in Folsom, California in the 1980s, supplying around 25% of the American sake market. These big boys have no intention of slowing down either, and are committed to being at the forefront of sake production throughout the world. I would recommend Gekkeikan Horin sake. This is a high grade sake. The polishing of the rice has a direct affect on the quality of the sake. With Gekkeikan Horin sake, the rice is 50% polished, which results in a dry, fruity flavour. 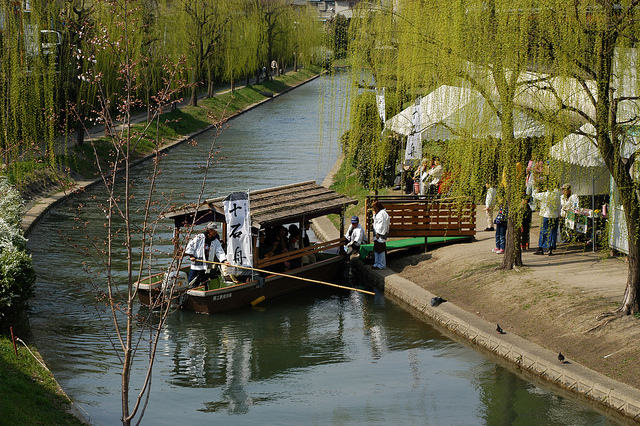 This makes it perfect for first time triers of sake. Fruity sake is best served chilled. Gekkeikan Daiginjo is an example of sake which is produced to a high grade, and then brewed alcohol is added to adjust the fragrance and taste. This is in contrast to houris sake, which remains pure. We import all our Gekkeikan sake straight from Japan, so it’s the best quality possible! 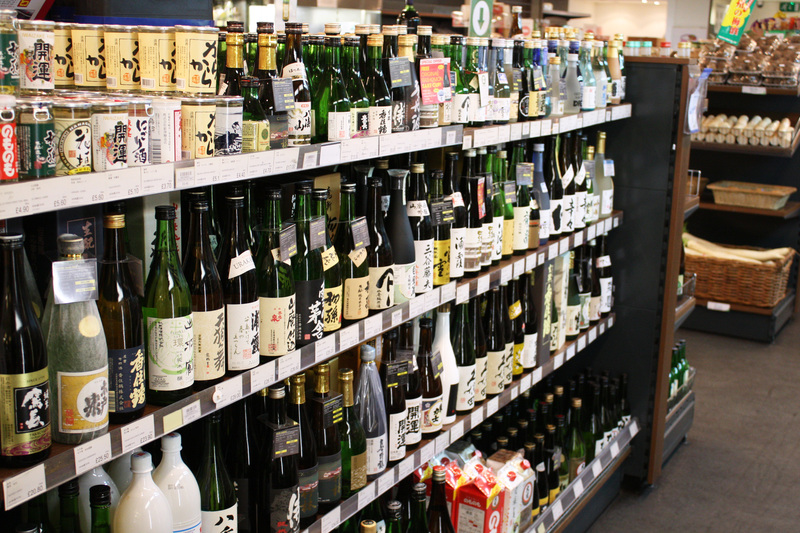 As a direct supplier of Gekkeikan sake, Japan Centre is the ideal place to get your hands on some of these mighty fine beverages. Our friendly and knowledgeable team in either our Piccadilly or Stratford branches will be more than happy to advise you regarding your selection. We also have a scintillating selection at Japan Centre online. Looking for a perfect sake set to give as a Christmas present? Our Superb Gekkeikan Sake Set could be just the ticket! Or take the advice of Gekkeikan president Okura and our very own Nao and choose Gekkeikan Horin. Browse our full range of Gekkeikan sake here. Our product descriptions give you an insight into the type of sake, including a handy chart indicating the level of sweetness and lightness. 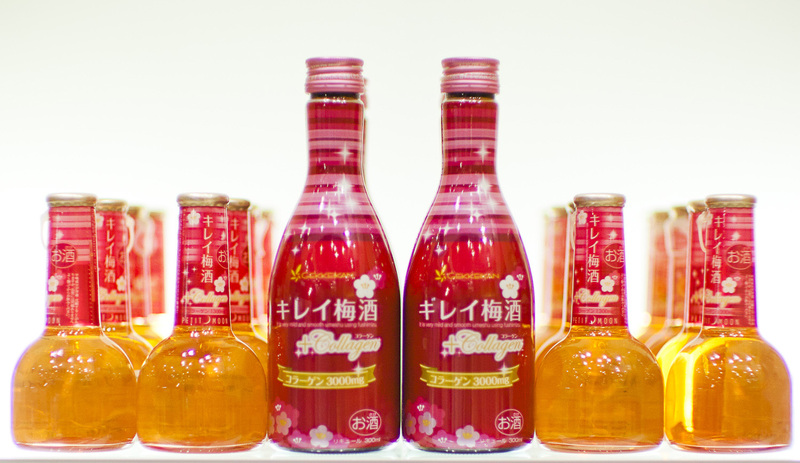 Gekkeikan also produce a range of other elegant elixirs, including Japan’s favourite sweet alcoholic treat, umeshu plum wine. Gift sets like our Sweet Petit Furoshiki Wrap include plum and peach liquor with a traditional material wrap- making it a perfect gift for Christmas. Or you could revitalise the skin, with this Gekkeikan Kirei Umeshu with added collagen… that’s right, collagen, for a drink that’s not only sinfully delicious, but turns back the sands of time on your face! Do you love Gekkeikan as much as we do? Tell us your favourite Gekkeikan beverage. At Japan Centre, we always want to hear from you. Posted in Uncategorized and tagged Christmas sake gift, gekkeikan, gekkeikan history, gekkeikan sake, gekkeikan umeshu, japan, Sake, sake history. Bookmark the permalink.